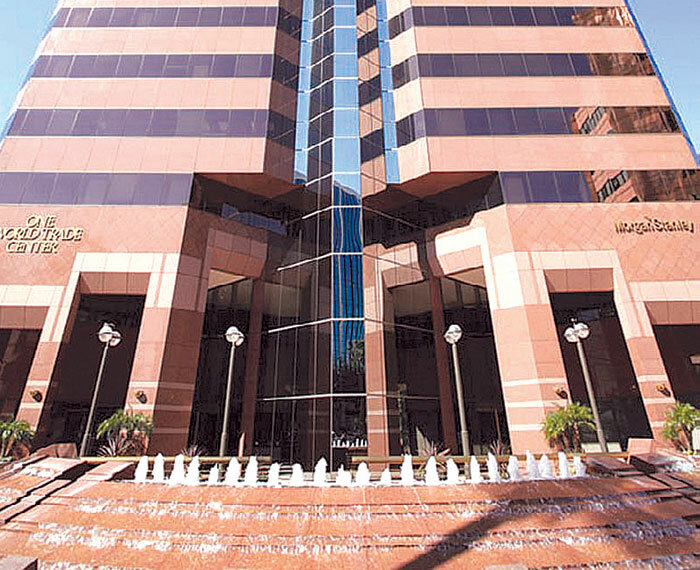 LONG BEACH — While Long Beach Harbor Commissioners stressed the move is only temporary, the Port of Long Beach’s 350 administrative staff will finally move out of their 53-year-old headquarters at 925 Harbor Plaza to 4801 Airport Plaza Drive, just east of the Long Beach Airport. The temporary move comes following a near 10-year search for a permanent home, which had not come to fruition. The port’s current headquarters have become cramped and out of date, needing costly seismic retrofitting and asbestos removal to meet current building standards. Commissioners Rich Dines, Doug Drummond, Nick Sramek and Wise voted in favor of purchasing the Airport Plaza building, while vice president Thomas Fields voted against. The port purchased the Airport Plaza building for $14.25 million, with another $9 million in renovations is expected to take place before the move. The building was previously occupied by Boeing Corp. as the former C-17 headquarters. The closing date for escrow is Dec. 27, with the administrative staff expected to move in six months later. At its Nov. 12 meeting, the commissioners began organizing committees to facilitate the move-in process, and also discussed the port’s next moves regarding a permanent facility. Originally, the port had planned to construct a new headquarters building adjacent to its current location, but in 2010, Mayor Bob Foster vetoed the plan, based on the project’s steep $220 million price tag. In 2011, a plan was devised to purchase the 27-story 1 World Trade Center building in downtown Long Beach for $130 million, but a deadlocked 2-2 vote among Harbor Commissioners (Wise had to recuse herself, as her husband had leased office space in the building) effectively ended the deal. Moving forward, the commissioners stressed the importance of remaining clear and open in their future plans for port headquarters. Commissioner Nick Sramek agreed: “Before I got here, we were trying to build the building across the way, and that got shut down, and then we thought we were going to buy the World Trade Center Building, and that got shut down. One concern already raised with the port’s new temporary location is the possible permanent removal of the port’s headquarters from the port district and downtown area — a move Commissioner Rich Dines said at the Nov. 5 meeting is not in the plans. “There’s no desire to abandon downtown,” Dines said. After hearing of the commission’s plans for the temporary move, Mayor Bob Foster released a statement Nov. 2, stating, “The decision to consider moving the port staff to a temporary building has been a tough one for the Harbor Commission, but it will help them focus on the search for permanent headquarters in Downtown Long Beach. If they vote to approve the purchase, the Harbor Commission is making the right and most fiscally responsible decision for their current situation and in the long term as it should. Shortly after, Vice Mayor Robert Garcia and Long Beach City Councilwoman Suja Lowenthal released a joint statement, as well. “While we are disappointed that the Port of Long Beach will temporarily relocate out of downtown, we strongly support the Harbor Commission’s intention to build a new world-class port headquarters in downtown,” the statement read.